A piece of work I delivered on a pro-bono basis for colleagues in the Red Cross Movement. I analysed over 50 existing reports to create a summary of comparative data over a 2-page colour-coded report. 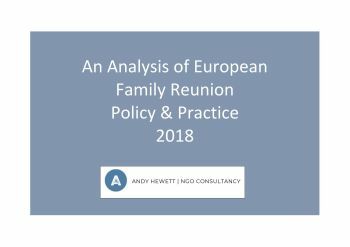 This provides the reader with an immediate and comprehensive summary of family reunion policy and practice across Europe, making it a vital tool for both policy work and field teams providing frontline advice.